Anyone who knows me, knows of my love for pickles, really anything pickled I will eat. I always have and I always will. I find the salty and tangy flavors satisfying and I personally believe they pair with just about any meal. But hey. that’s just me. Not too long ago, a good friend of mine introduced me to this recipe and I have been making them every week ever since. What are refrigerator pickles you ask? Good question. 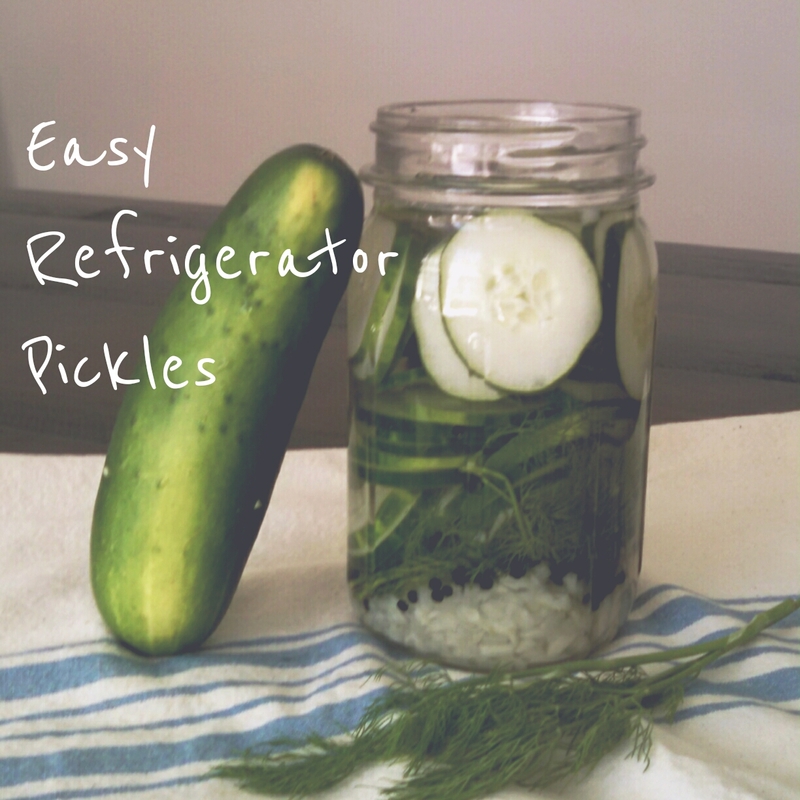 Refrigerator pickles are pickles that are pickled and stored in the fridge. They are good for about 2 weeks. This is opposed to pickles that are canned and can be stored for the long term. This recipe is for a sweet pickle yet, they are still quite tangy and they are super easy to make! I hope you enjoy these as much as I have. Note on Ingredients: Think of the amounts listed with the ingredients above as ratio suggestions. This is what appeals to my taste buds but, if you prefer your pickles sweeter, then add some more sugar. Want them to taste more tangy? Add another splash of vinegar. Let’s get this easy-peasy brine started; combine the water, vinegar, sugar, and salt in a small saucepan and place over low heat. Stir the mixture occasionally and leave the mixture on the stove top until the salt and sugar have completely dissolved. Once dissolved, remove from the heat and allow the mixture to cool. Once your brine has cooled to room temperature pour the brine into the container that the pickles will be living in (I typically leave them in a large plastic container or large glass jar). 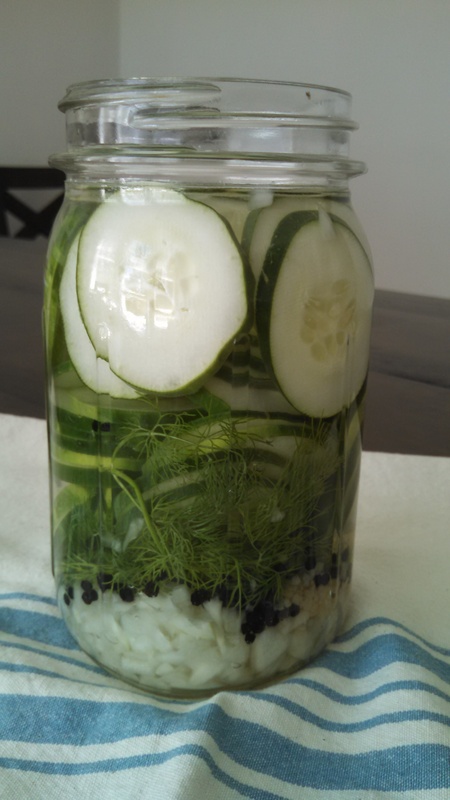 Add the chopped onion, garlic, peppercorns, fresh dill, and sliced cucumbers to the brine and seal up the container. Allow the cucumbers to sit in the brine for at least 8-12 hours before trying the pickles. Store them in the fridge in a sealed container for 7-10 days. 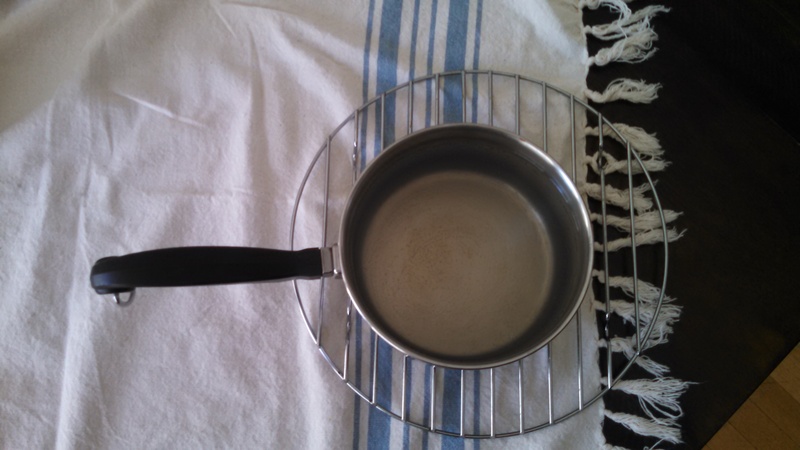 Combine the water, vinegar, sugar, and salt in a small saucepan and place over low heat. Stir the mixture occasionally and leave the mixture on the stove top until the salt and sugar have completely dissolved. Once dissolved, remove from the heat and allow the mixture to cool.